Secretary of Defense Chuck Hagel should be held accountable for his total irresponsibility in representing military personnel and veterans who have died serving in the United States Military during the month of October, 2013. As a military veteran I am personally embarrassed with his irresponsibility in not convincing the President to perform as our country should for all veterans who have died in the month of October, 2013! Such irresponsibility justify asking for his resignation. And this is just part of the actions the President has responsibility for where all Americans are not being treated fairly and with respect. I ask you Mr. President, please represent all citizens of this country, not just those may have voted for you or given you money. i am a citizen of this country, and I feel that under the Constitution I am entitled to responsible representation the same as all citizens. WASHINGTON — The families of four soldiers killed in Afghanistan last weekend will not receive death benefits or the money to pay for their funerals because of the government shutdown. The family of Sgt. Patrick Hawkins will not receive death benefits or the money to pay for their funerals because of the government shutdown. The bodies of Sgt. 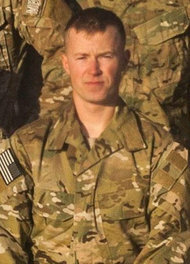 Patrick C. Hawkins, 25; Pfc. 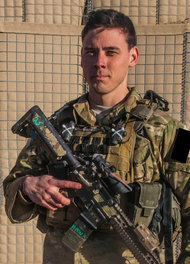 Cody J. Patterson, 24; Sgt. Joseph M. Peters, 24; and First Lt. Jennifer M. Moreno, 25, will arrive at Dover Air Force Base in Delaware on Wednesday. The four soldiers were killed Sunday in the Zhari district of Kandahar Province when enemy forces attacked their unit with explosives. Washington (CNN) — The news was devastating for Shannon and Jeremiah Collins: Their 19-year-old son, Marine Lance Cpl. 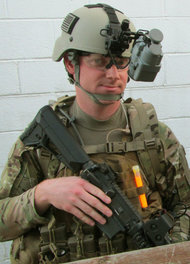 Jeremiah Collins Jr., died in Afghanistan’s Helmand province. The Milwaukee, Wisconsin, couple learned the survivor benefit paid to the families of fallen troops for burial and other expenses had been suspended because of the government shutdown. “Am I going to be on a payment plan for the rest of my life so that my son can have the services he deserves?” Shannon Collins told CNN affiliate WTMJ. It’s a question that embarrassed and outraged government officials, who scrambled to find a way to provide the survivor benefits to the families of 26 troops who have died since the shutdown began on October 1. On Wednesday, the Pentagon struck a deal with a private charity to ensure families of fallen troops are paid the survivor benefits, which include a $100,000 payment made within days of the death, Defense Secretary Chuck Hagel said. The National Park Service is allowing an Oct. 8 pro-immigration rally on the national mall, even as it posts pickets and barriers to bar Americans from visiting their open-air memorials. “They’re going to be allowed to go [ahead] because it is a First Amendment activity,” Shannon Maurer, a spokeswoman for the “March for Immigrant Dignity and Respect,” told The Daily Caller. “They allowed us to have it because it is part of the First Amendment of the constitution,” said Susana Flores, a spokeswoman for CASA in Action, which is organizing the rally. ”We’re going to have a stage and microphones,” plus a stand for TV cameras, she said. Barack Obama brings out such visceral feelings in not just me, but so many Americans, more so than any other person to occupy the White House since the day John and Abigail Adams moved into 1600 Pennsylvania Avenue. Obama is the most malicious, vindictive, and petty individual to occupy the office of president with more scandals than Richard Nixon, Warren Harding, and Andrew Johnson combined; thinner skin than Nixon, and overall even worse than Jimmy Carter as an effective leader. It is not hyperbole to say with the utmost clarity that the narcissist-in-chief is not a leader, but a petty, vindictive despot working his damndest to offend, hurt, and punish as many real Americans whom he is charged to serve. Obama is personally inflicting as much pain, suffering, and inconvenience upon veterans, children, and vacationers as possible, not just in these United States, but overseas as well.